Start with a white base, and then use a medium length striper brush to add dashes of color spiraling out from the center of your nail. I began with my yellow shade, and then continued to build out the colors on either side of it (sticking with rainbow order, of course!). Don't forget a layer of topcoat to smooth out and protect your design. 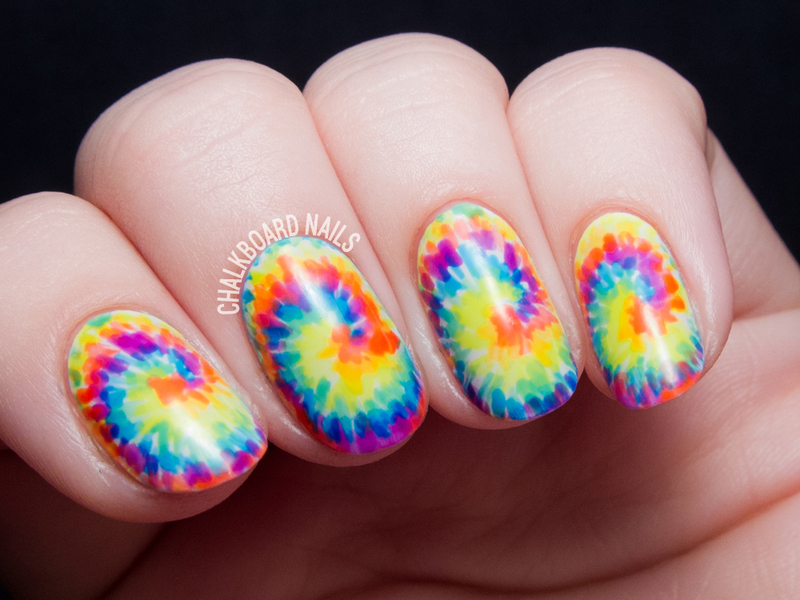 This look is pretty simple to achieve, and the less precise you are, the more tie dyed it will look! So just have fun with it!